Medici first became a prominent family of Italians in the late 14th century. They were a politicians, bankers and royalty. The Medici bank is contributed with the improvement of the general ledger system through the development of the double-entry bookkeeping system for tracking credits and debits. The sensible modern design of the Medici line of knobs and pulls by Vicenza Designs will brings oohs and aahs from your guests. 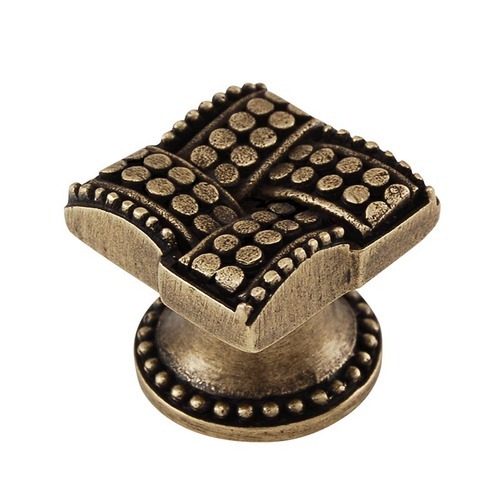 The large, rectangular knob is available with your choice of Two-Tone or Vintage Pewter. Mounting hardware is included. Handcrafted in the USA. Medici first became a prominent family of Italians in the late 14th century. They were a politicians, bankers and royalty. The Medici bank is contributed with the improvement of the general ledger system through the development of the double-entry bookkeeping system for tracking credits and debits. The sensible modern design of the Medici line of knobs and pulls by Vicenza Designs will brings oohs and aahs from your guests. The small, round knob is available with your choice of Two-Tone or Vintage Pewter. Mounting hardware is included. Handcrafted in the USA.